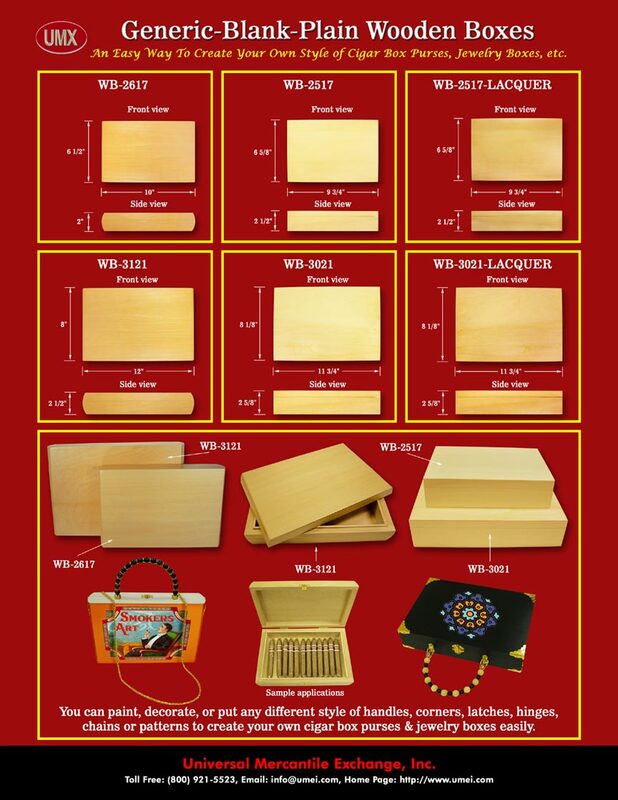 UMX Generic, Blank, Plain Empty Cigar Box, Cigr Box Purses, Wood Boxes, Jewelry Boxes, Wooden Boxes. Easy to create and design your own style of cigar box purses from our generic, blank, plain and unfinished cigar box purses. You can put your favorite handles, corners, hinges, latches, art works and paint it easily.